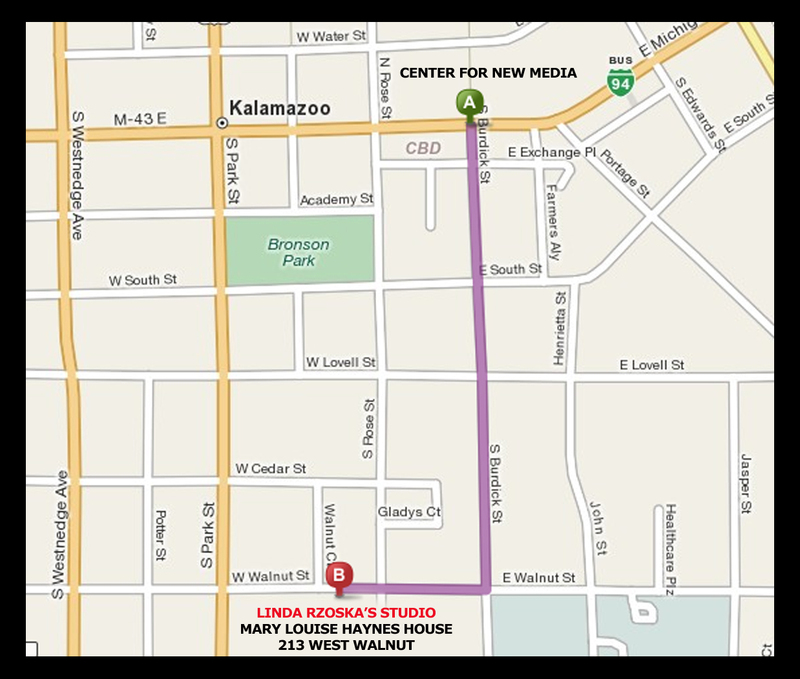 The Ninth Wave Studio is located on the second floor of The Mary Louise Haynes House at 213 West Walnut Street, Kalamazoo, Michigan. We are just one block west of Burdick Street. Please note The Ninth Wave Studio is on the second floor –apologizes in advance for not being Handicap Accessible.